2CoolTek provides installation of central and remote network service areas, from planning to installation, maintenance and repair of cabling to and from these critical segments of your network, with an emphasis on neatness and proper labeling of connections so that your staff can easily identify where the cabling is connected to on the network. 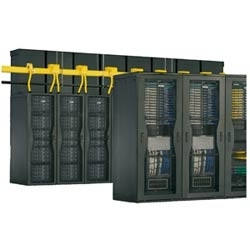 Whether you are looking for closed secure cabinet racks, or open-faced units for your organization. Our services include installing a wide range of cabling- Cat5/Cat6 or Cat 7, shielded & unshielded, plenum/non-plenum, as well as coax, fiber optic and other low voltage cable installations to provide service for our customer’s high speed data, VOIP, and IP surveillance systems. We install equipment using the industry brands that are recognized and respected to guarantee a quality end result. Our brands include General Cable, Chatsworth, Berk-Tek, Panduit, Corning and many more.